Yesterday I posted a homily about being a great Catholic. 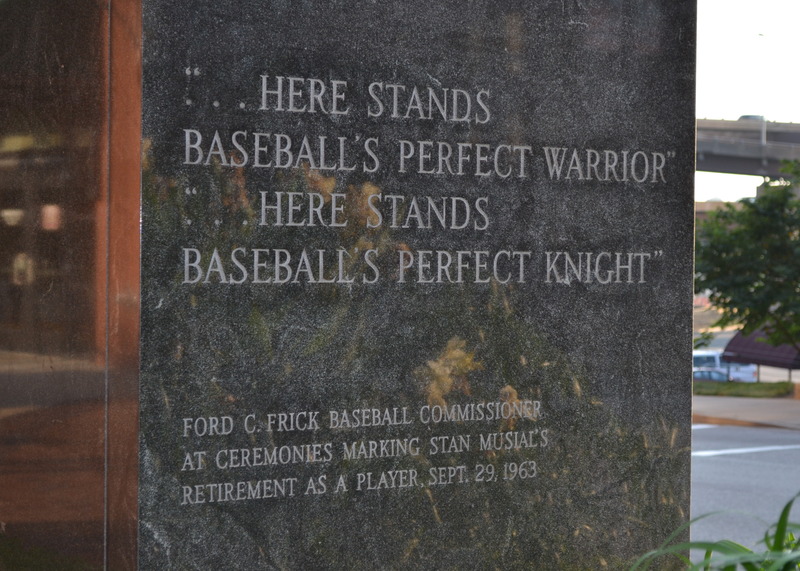 Yesterday Saint Louis, and all of America, lost one of the greatest; Stanley Frank Musial. Stan was a man, no he was The Man, who used the gifts that God gave him and never was willing to accept the praise that he received. Everyone who knew him says he was a humble man, a considerate man, and a man of faith. Cardinal Timothy Dolan tells us that one of Stan’s greatest thrill in his amazing life was being able to meet his fellow Pole, Pope John Paul II. I never had the privilege of meeting The Man but I know people who did and the reaction is always the same. He was a great human being. He carried a box of autographed memorabilia in the trunk of his car which he handed out freely to anyone he met. I was blessed to see him play on television and in person. He was my hero. In fact, when I was a kid I used to play baseball in the back yard with my neighbor, Freddy Vincent. He was always Kenny Boyer and I was Stan. I even batted left-handed, and I can’t do anything left-handed. Of course, I wasn’t very good batting right-handed either. You might wonder why I always got to be Stan. That’s easy. It was my yard and my ball. Freddy’s yard wasn’t big enough to play even two-player baseball. Our city, and much of Major League Baseball will be in mourning for quite a while. We share a great loss. But Jesus’ baseball team has just gotten a huge boost. The only question is whether he’ll play first base or in the outfield. One thing is for sure, his beloved wife of 70+ years, Lillian Musial, will be in the stands cheering him on. Here’s an interesting footnote. Last night the Saint Louis Blues opened their shortened season at home. There were a lot of baseball people at the game, in town for the Cardinals winter fan event. 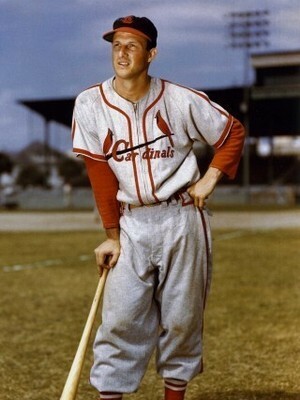 Musial wore number 6. The Blues beat the Red Wings 6-0. Coincidence? What do you think?